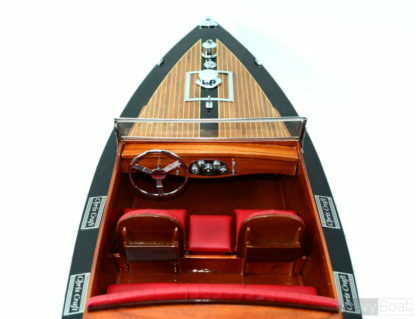 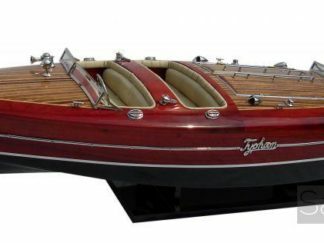 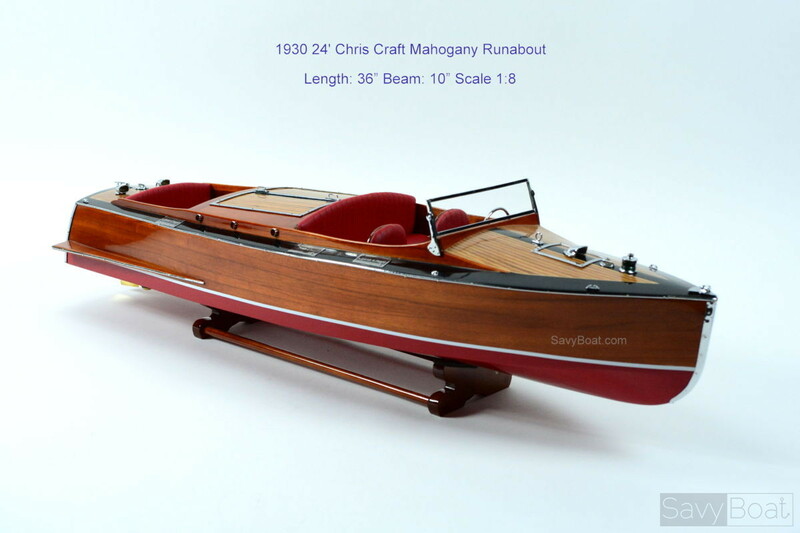 Our 1930 Chris Craft Runabout model is handcrafted at museum quality from high-grade woods such as mahogany, teak, and other exotic woods. 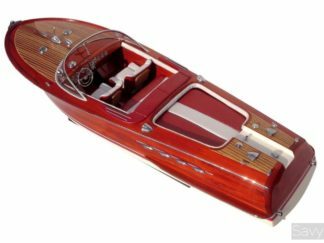 The hull is constructed using a plank on frame method, each strip of exotic wood are carefully joined together to form a smooth hull. 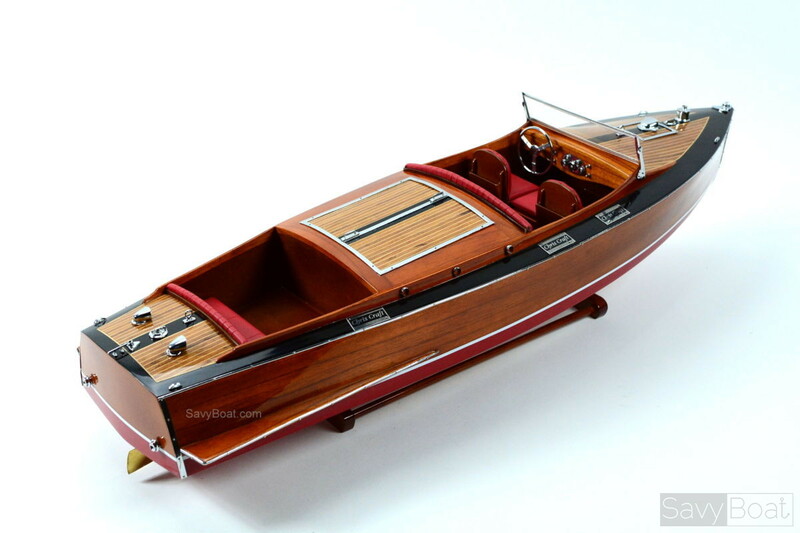 This model is completely hand built by skillful and creative master craftsmen. 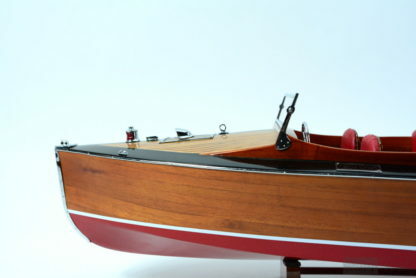 The boat has a gleaming color of red, white, and a clear varnished coating follows with amazing details. 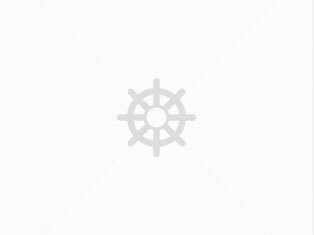 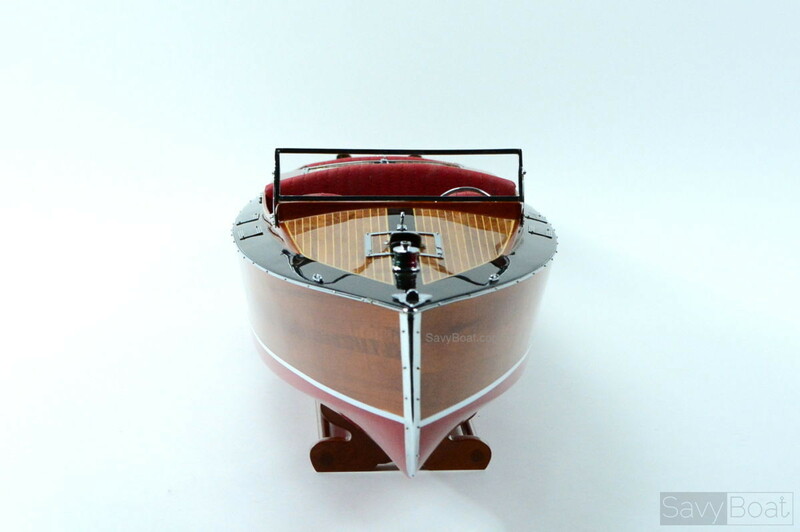 You will find a variety of beautifully chromed metal fittings such as: metal front windshield frame, metal ring gauges, metal steering wheel, metal horns, metal lights, metal propeller and much more. 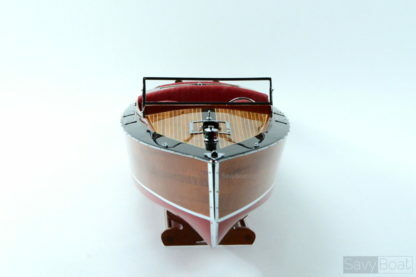 This model has the front row seats for driver and the back row is for passenger seating area. 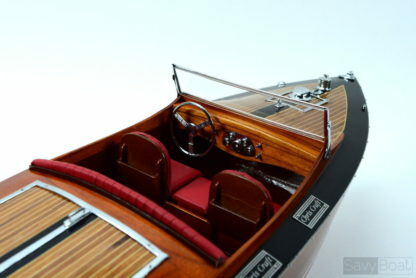 Both of them come with detail stitched leather seats. 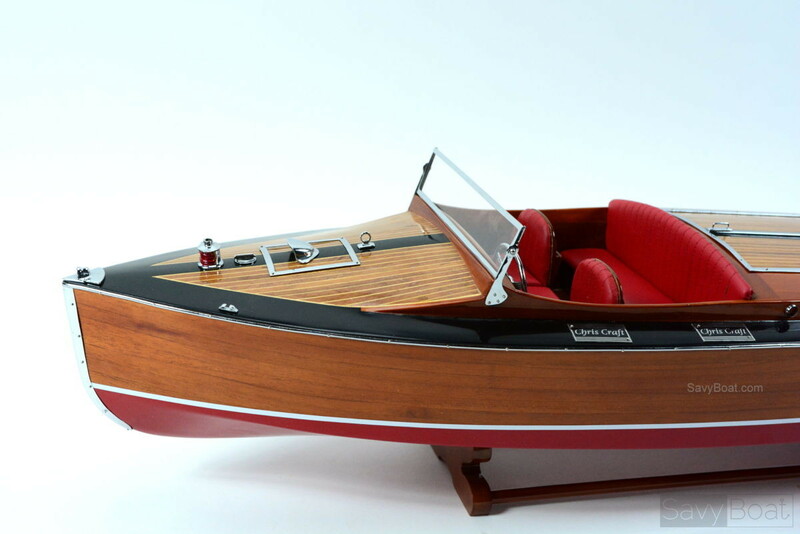 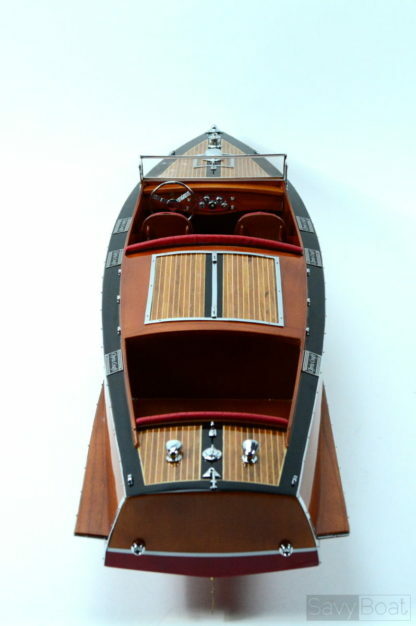 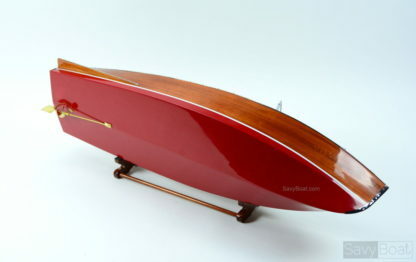 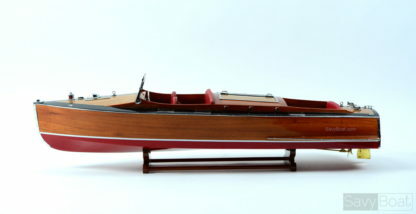 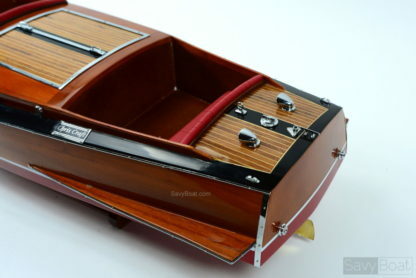 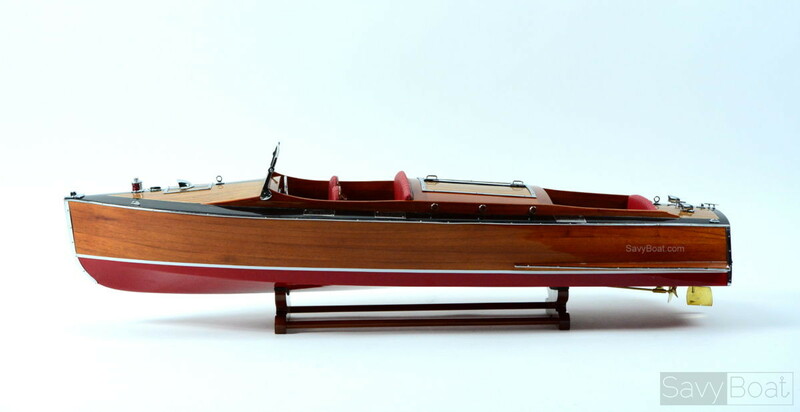 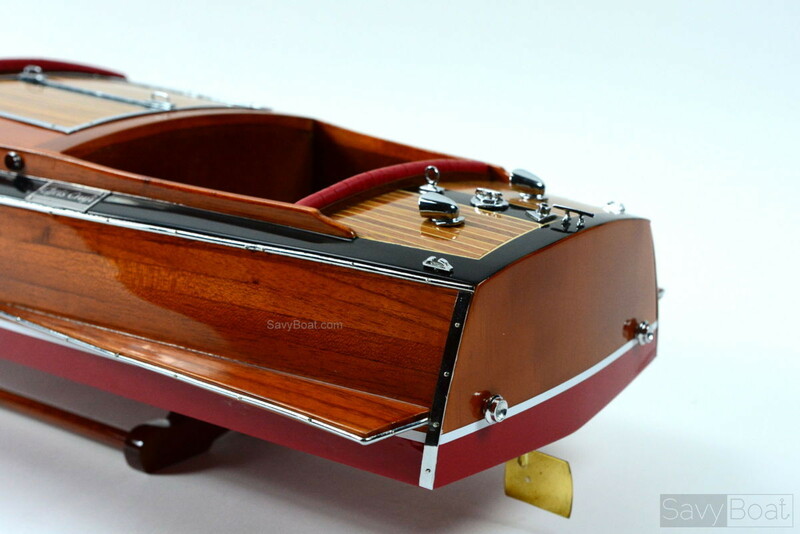 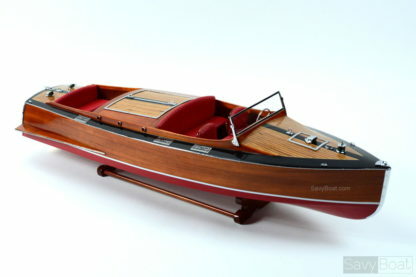 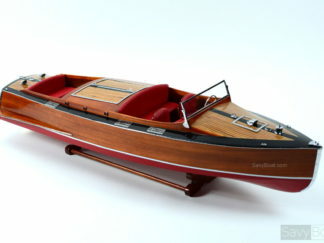 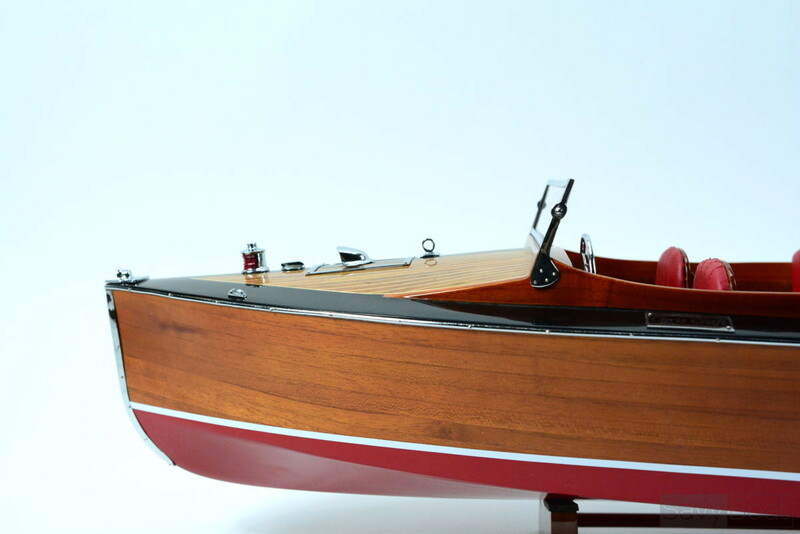 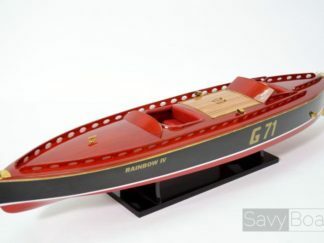 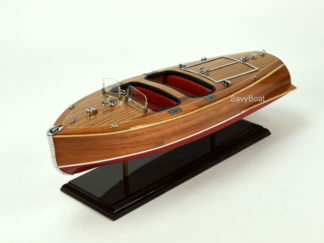 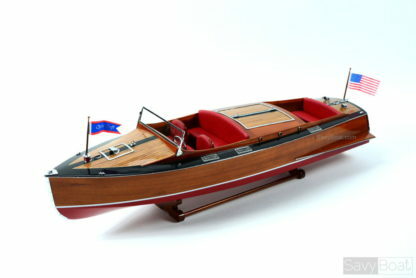 A detachable wooden stand comes standard with this Chris Craft Runabout model.